I personally prefer the smaller ATVs. 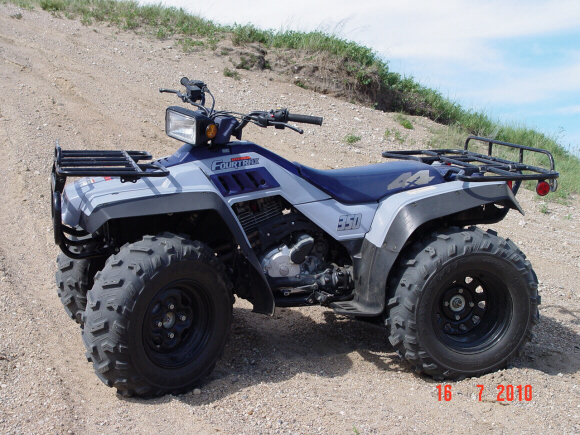 There are a few trails I ride / hunt along you simply cannot get a bigger ATV up. Look like it will eat up terrain easily, I like those chunky tires. is that a two-stroke or 4-stroke? Looks good Joe. 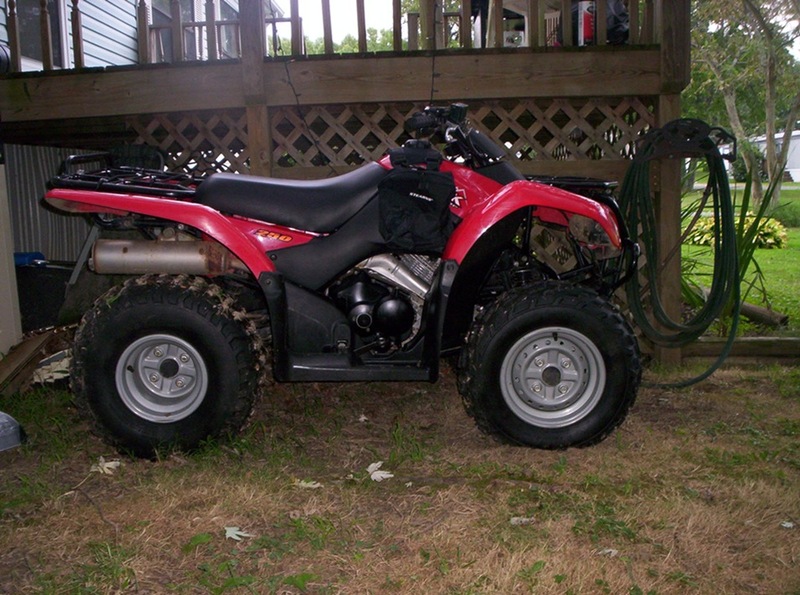 I got a new to me (used) 4 wheeler as well. It's a hardly used 1993 Honda 350 Fourtrax. I'll be trying it out Elk hunting in Sept. I'll be trying it out Elk hunting in Sept. I've heard some guides say that the 4-wheelers make too much noise to go hunting elk with. How quiet are these or do you use them just to get close to your hunting area then hike the rest of the way in? We use them to haul our camp and gear back into the bush and then go on foot. 4 wheelers etc don't seem to bother the Elk in the area we hunt in cause they are somewhat used to them, and other noises, from all the locals roaring up and down the trails all spring and summer and with snowmobiles on the trails in the winter. We hunt in a forest reserve but are actually only 10 or 15 miles, at times more and at times less, from farm land and farming activities. But I could see that in remote wilderness areas that they could have an effect. You would never get those things into where I used to hunt. The trails are too narrow for horses, which aren't allowed and neither are powered vehicles- not even motorcycles. I have never used a vehicle in a hunt, just walk and stalk. Some day I will be able to hunt again... til then its light loads and 100 yard targets.